Apple were once almost impossible to second guess. In the days of the late Steve Jobs, the latest developments at Cupertino were guarded with legendary levels of enthusiasm and vigour. In those days, if you blabbed you lost your job. Thats no longer the case, as was clearly evidenced by Tuesdays launch of the iPhone 5S and the new budget iPhone 5C. So its in this new Apple environment that a number of new leaked iPad pictures have emerged – pictures that are much more credible today then they would have been say two years ago. These days, we know whats coming. Tuesdays annoucment was so anti-climatic that Apple’s shares tanked 5% the next day. The new iPhone 5S looks an interesting proposition, and with the finger print scanner it has something genuinely novel (accepting that Motorola beat them to the punch with a fingerprint scanning phone two years earlier). In other words Tuesdays announcement wasn’t a shocker, the problem is we had already heard what was coming. So much so, Tim Cook was reduced to uttering the phrase “as you may have heard” a number of times mid -presentation. So now its time to get the early lowdown on the iPad 5 and the second generation of the Mini. The first thing to note is that nothing looks drastically different. 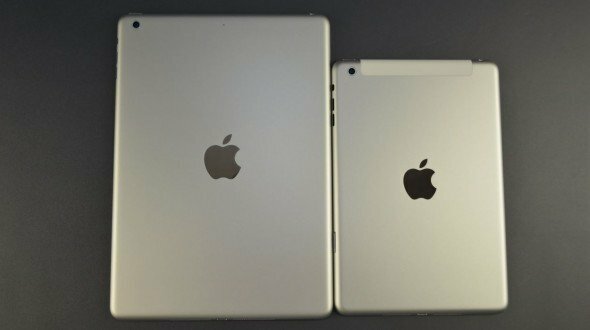 Its known that Apple have been working on making the larger form iPad easier to carry, so the bezel is likely to be thinned out. This will allow the same 9.7 inch display, but in a smaller form factor. The iPad Mini 2 is the more likely device to be overhauled. The first gen launched minus the Apple retina display. This is now holding it back, in light of stronger competition in the mini-tablet space from companies like Samsung and the Nexus range. The retina display brings full 1080P HD functionality but comes at a cost – it requires a radically more powerful spec to accommodate its demands. This is the most likely reason why it was missed off the first iteration of the Mini, as it may have been posing a problem to integrate the higher performance spec whilst maintaining the small and light form factor. Indeed both new devices will be overhauled in a similar vain to the new 5S. So the introduction of the much more powerful A7 chip, which brings much better performance alongside less battery demands. The battery has never been a source of complaint on the iPad, unlike the iPhone, but a hike here would still do no harm. 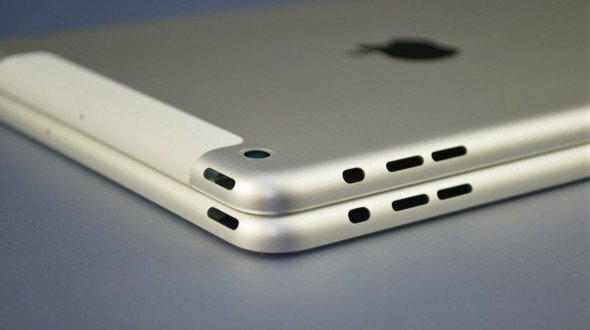 The introduction of the lightening socket across all of the iPad range will bring faster charging, and that will be a big upside considering the slow pace of charging on the current generations. Speculation will gather around the new iPads now that the iPhone launch is over and done with. Apple’s gaze will firmly be in this space, so expect plenty more iPad rumours over the coming weeks. Previous article#TwitterIPO: How will Twitter make more money to justify its $10Billion valuation?